Experiencing issues trying to play the Virtual Demo on Google Chrome? For players experiencing issues trying to play the Virtual Demo on Google Chrome, many will find that the Unity player will not respond, activate or it will suggest yo need to install Unity player. This is due to changes with Chromes latest update where it will disable NPAPI add-ons and plugins, one of which is Unity Players plugin. 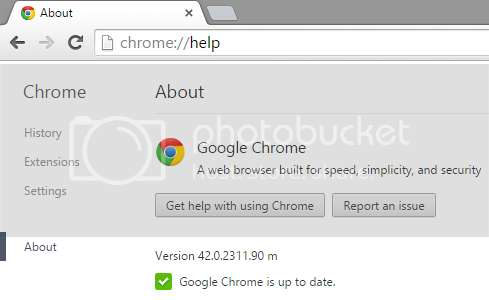 To resolve this issue, you will need to make sure your Chrome version is updated to version 42.x.x or higher. Chrome will update to the latest version and then the browser will refresh. On this page, you will need to select enable (it will display as Disable once clicked) so that Chrome will run the Unity player as normal. After enabling, select the Relaunch Now at the bottom of the page so the changes take effect. Some players may also need to allow the Unity plugin to run if it has been blocked. To run the plug-in just once, click Run this time. The plug-in will run, but if you visit the site later, you’ll be asked for permission to run the plug-in again. To always allow the current site to run the plug-in, click Always run on this site. Subsequent visits to the site will run the plug-in without asking again. To always allow this type of plug-in to run, go to chrome://plugins, find the plug-in and check the box next to Always allowed. Thanks to the HU team for their help with this.